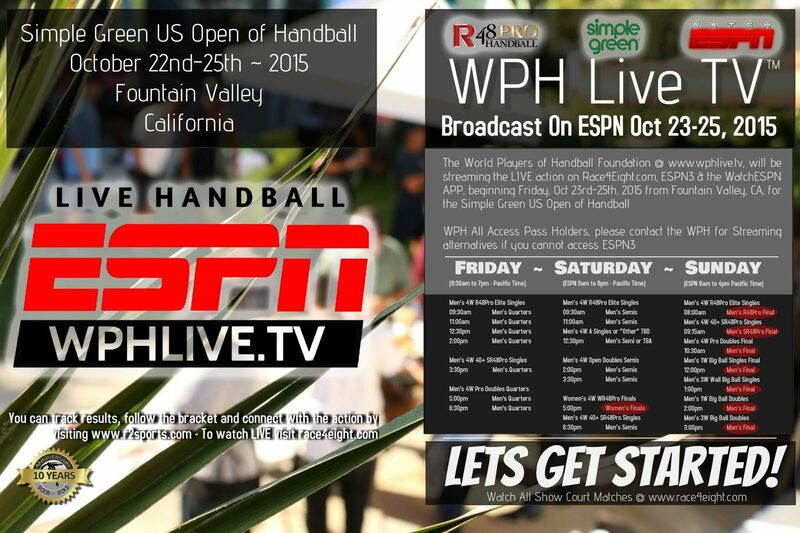 Simple Green’s annual October handball spectacular, honoring Naty Alvarado Sr., continued on Friday with virtually all of the top stars in men’s and women’s small ball and big ball taking center stage at handball’s most illustrious event. 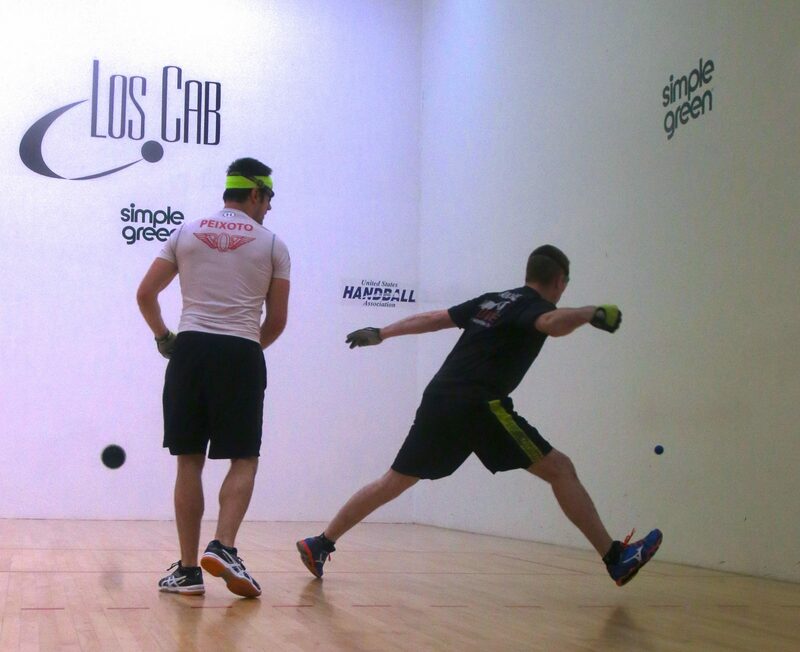 Paul Brady entered his quarterfinal with California’s Mando Ortiz well aware of Ortiz’s capability to play world-class handball on the biggest stages in the sport. Ortiz became just the second player in a decade to defeat Brady in the 2014 WPH Player’s Championship, stunning “The Gunner” and announcing himself as one of Brady’s few rivals. Brady would not allow Ortiz into this encounter, as he raced to huge leads in both games and silenced the pro-Ortiz crowd in a 21-minute systematic two-game statement. “The ball was just moving so fast and I felt like I couldn’t do anything,” an overwhelmed Ortiz would later say. In the first encounter between one of the top Irish stars and one of the top American stars, current world finalist Killian Carroll and current WPH Player’s Champion Sean Lenning met for the opportunity to face Paul Brady in the Simple Green U.S. Open semifinals. Lenning started quickly, serving eight aces en route to a 15-2 lead. Carroll would build some momentum, closing the gap to 10-19 before Lenning closed out the game with a backcourt kill. Carroll turned the tables in game two, dominating the frontcourt and using his incredible speed to frustrate Lenning and force the tiebreaker. Lenning quickly reversed the momentum in the tiebreaker, building a 4-1 lead and stretching the lead to 7-2 with deep crack aces to the left and off-balance kills. Lenning held off Carroll, setting the stage for 2007 and 2012 Simple Green U.S. Open matches with Paul Brady. Robbie McCarthy defeated Emmett Peixoto in their last encounter at the 2014 WPH Player’s Championship and used the confidence gained from that two-game victory to ambush “The Rock” in game one. Trailing 3-4, McCarthy scored 17 of 18 points to take a commanding 20-4 lead and closed out game one, 21-7. The pair would play much closer in game two, as Peixoto was able to neutralize The Buzzsaw’s serve to tie the score at 10. McCarthy was too strong in the latter stages, advancing to the semifinals in just over two hours, 21-7, 21-14. In their fourth encounter in three years, Diarmaid Nash appeared to have the solution to the Luis Moreno riddle. Despite losing their three previous encounters, Nash confidently built a 15-5 first-game lead, only to see Moreno storm back to score 16 of the next 17 points to steal game one. Undeterred, Nash dominated game two, 21-3, and appeared to be just minutes from closing out the match with a 7-2 lead in the tiebreaker. Just as he had done in game one, Moreno summoned his best handball when he needed it most, scoring nine consecutive points to hand Nash a heart-wrenching defeat. Catriona Casey entered the Women’s 4-Wall Singles as the two-time defending Simple Green U.S. Open champion and undefeated in seven Women’s Race 4 Eight starts. Casey encountered little difficulty on Friday, trouncing Jean Kastner in the quarterfinals and dispatching of Martina McMahon with alarming ease in the semifinal. Casey will face her greatest rival, Aisling Reilly, in Saturday’s finals. Reilly defeated former USHA Four Wall National Champion Yvonne August in the quarterfinals and top five WR48 pro Jessica Gawley in the semifinals. Casey will aim to defeat Reilly after a crushing loss at the 2015 World Championships, while Reilly will set her sites on winning her first Women’s Race 4 Eight title. Top seeds Juan Santos and Samzon Hernandez remained on a collision course in the Men’s 3-Wall Singles. Top seeds Vic Duran, Ricky Ruiz and Kevin Gonzalez also advanced to Saturday’s semifinals. Boxer Rosales and Gabino Velazquez also advanced to the quarterfinals, upsetting top seeds Sal Duenas and Rudy Cruz, respectively. Current Women’s 1-Wall World Champion Danielle Daskalakis defeated 2015 WPH Outdoor Women’s Player of the Year Tanisha Groomes to advance to Saturday’s semifinals, while current 1-Wall women’s national champion Sandy Ng defeated Tracy Davis to also advance to the semifinals. 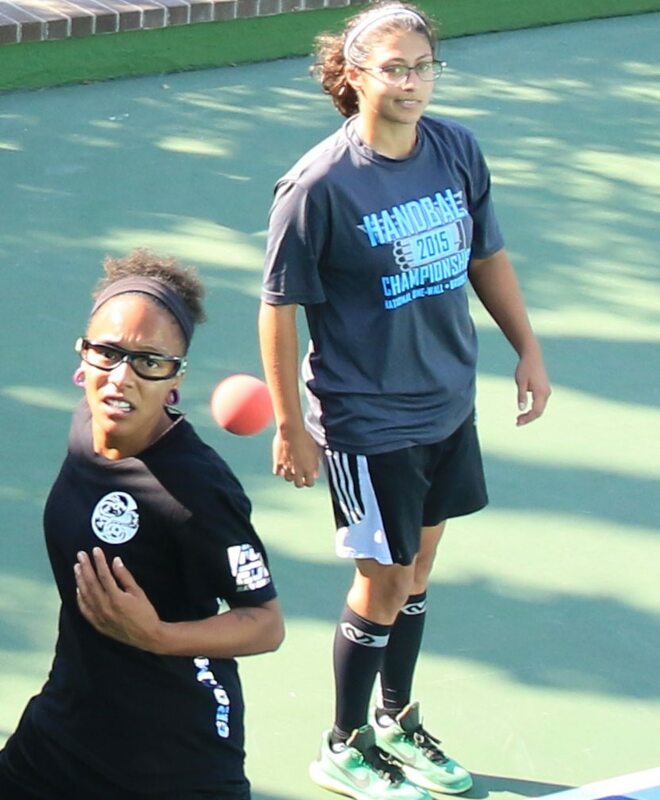 “Double D” and Ng will be joined in Saturday’s semifinals by New York’s Karen McConney and Yolanda Monroe. 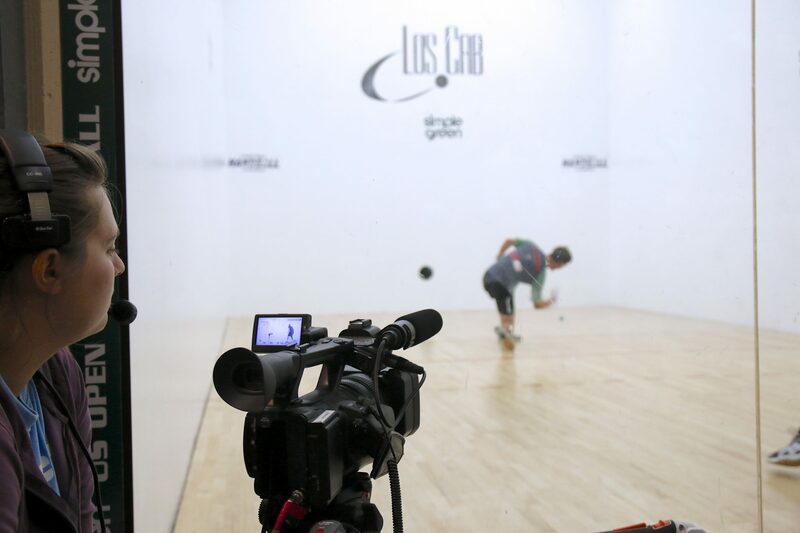 Current World 1-Wall Champion Timbo Gonzalez continued his quest to repeat as Simple Green U.S. Open Champion, advancing to the semifinals with a two-game sweep against cross over star Billy O’Donnell. Second-seeded Tywan Cook also advanced with a two-game sweep against Han-Ching Lin. Kadeem Bush overcame a slow start to defeat Carlin Rosa in a thrilling 11-8 tiebreaker and PeeWee Castro defeated Carlos Figueroa to join Gonzalez and Cook in Saturday’s semifinals. Top seed and defending champion Chris Watkins needed nearly two hours to overcome Dr. Dan Zimet in the quarterfinals and will face weekly sparring partner Naty Alvarado Jr. in Saturday’s semifinals. Alvarado overcame Ireland’s Fergal Coughlan in two games to advance. Second-seeded and two-time defending SR48 Player’s Champion Marcos Chavez defeated Juan Flores to setup a semifinal clash with 2013 SR48 Player’s Champion Andy Schad.